Troupers with machine guns and grenade launchers are best destroyed with either a flame thrower or a machine gun. 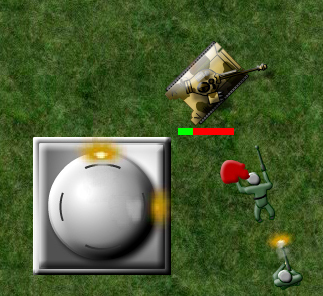 Both these weapons do relatively little damage compared to a cannon or a rocket, however, the latter mentioned weapons reload rather slowly, and swarming enemy troups can do a lot of damage in the period of time while they are reloading. ATVs have a heavy machine gun that does significantly more damage than a trouper machine gun, and should probably be destroyed before any approaching troups. The easiest way to destroy an ATV is with a single shot from a cannon. A single rocket can also destroy an ATV, but targeting an ATV with a rocket can be difficult because they are fast and relatively small. 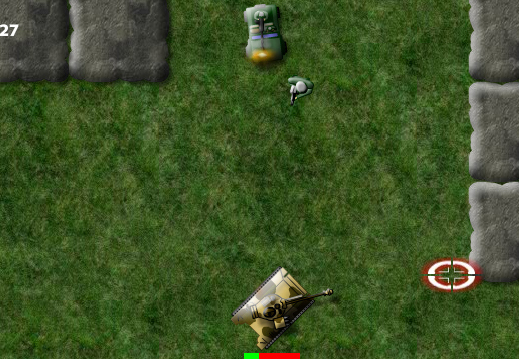 Cannons are less effective used against bunkers than against other enemies. Rockets are effective against bunkers, but destroying all 4 sides of a bunker with rockets will use 4 rockets, which may be better used against tanks and missile tanks. 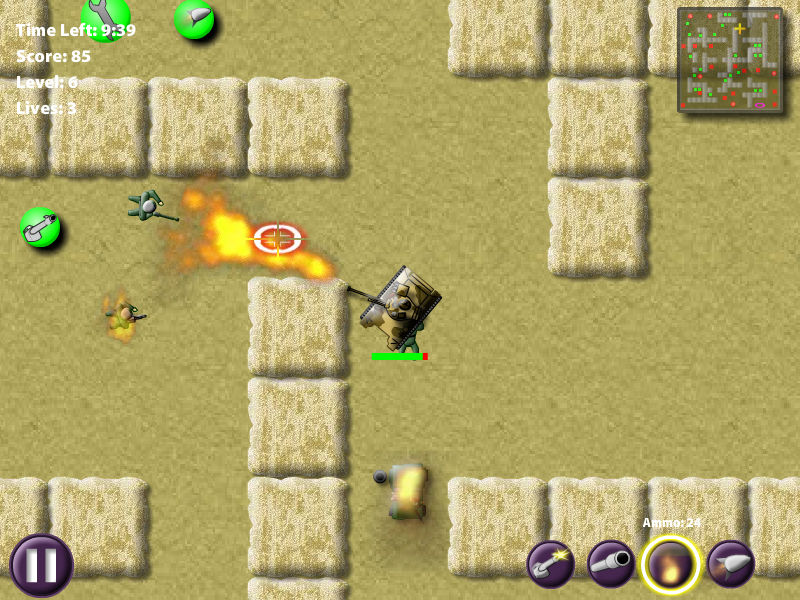 Flame throwers can be used to destructive effective against bunkers, and can frequently be fired at the bunkers without exposing the player's tank to defensive fire from the bunkers. Machine guns are not as effective against bunkers as other weapons, but machine gun ammunition is plentyful, and can frequntly be fired from outside the range of the bunker.